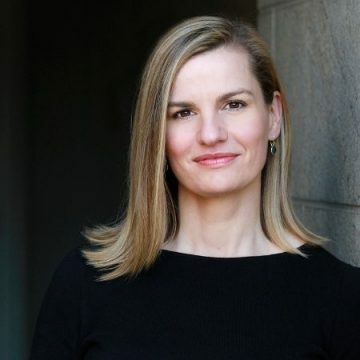 An instigator on how to thrive in the future of work, Sally is the CEO of Forshay, a firm that focuses on how people can do their best work through executive recruiting, project-based work, and improving the system of work through increased diversity, inclusion, and belonging. Forshay was awarded #290 on the Inc. 5000 “Fastest-Growing Private Companies” list for 2015. Prior to founding Forshay, Sally co-founded and was CEO of Flexperience. Under her leadership, Flexperience grew into a nationally acclaimed firm, and was awarded “Top 100 Fastest-Growing Private Companies” in 2010 by the San Francisco Business Times. A recent speaker in two TEDx talks, Sally is a frequent keynote speaker on the future of work, women in leadership, the science of work/life blend, applying design thinking to make work better, harnessing the value of a multi-generational workforce, and talent recruitment and engagement strategies. Sally has been featured in the Wall Street Journal, BBC, Forbes, YahooFinance, Huffington Post, KQED radio, NBC11 News, ABC7 News, among numerous other media publications. Sally co-founded WorkLab in 2015, a design thinking community of action committed to making work better, based on her work with Stanford’s “Redesigning and Redefining Work” project. She is committed to prototyping new workplace strategies and systems that align with the lives of today’s workforce so companies can better harness talent for mutual success. Sally lectures regularly at Stanford’s Graduate School of Business as well as UC Berkeley’s Haas School of Business. She serves on the Advisory Council of Stanford’s Clayman Institute for Gender Research, the educational partner of LeanIn.org.